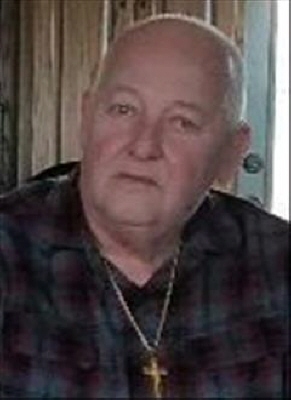 Henry Wilson McDaniels, age 73, of Ball Ground, passed away Monday, January 14, 2019 at his home. Survivors include his wife, Linda McDaniels of Ball Ground; son and daughter-in-law, Brett and Cynthia McDaniels of Talking Rock; son, Kevin McDaniels of Ball Ground; daughter and son-in-law, Sharitta and Eustacio Vasquez of Marietta; daughter, Tonya Cummings of Virginia; nine grandchildren; and four great-grandchildren. He was preceded in death by step-daughter, Terri Barton. A Memorial Service will be held 2:00 p.m., Thursday, January 17 at the Chapel of Roper Funeral Home with Reverend Jess Posey officiating. The family will be receiving friends at Roper Funeral Home Thursday, January 17, 2019 from 1:00 p.m. until 2:00 p.m. The family requests in lieu of flowers, donations be made to Compassus Hospice in honor of Mr. McDaniels. To send flowers or a remembrance gift to the family of Henry Wilson McDaniels, please visit our Tribute Store. "Email Address" would like to share the life celebration of Henry Wilson McDaniels. Click on the "link" to go to share a favorite memory or leave a condolence message for the family.